Whitfields Solicitors specialise in a wide range of residential and commercial property transactions. Whether you are buying or selling a home, unit, vacant block, strata title, commercial real estate or rural property, we aim to provide you with quality conveyancing services at minimal cost. 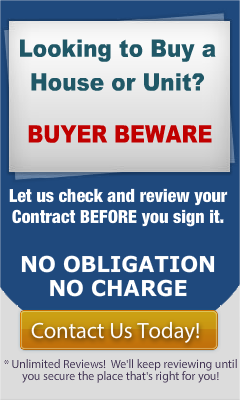 If you are looking to buy, we also offer a no obligation free appraisal of your contract. We guide you throughout the process paying particular attention to your individual needs and circumstances. Contact us on 9819 6299 or drop us an email at jwhitfield@whitfields.com.au for more information or to arrange a consultation with an experienced Drummoyne conveyancing solicitor.